Sequels, biopics, history lessons, fantasies and a prequel – that is what Bollywood has lined up for movie buffs in 2017, a year in which the Indian film industry will hope to produce better content and stand up to the increasing presence of Hollywood blockbusters in the country’s movie calendar. 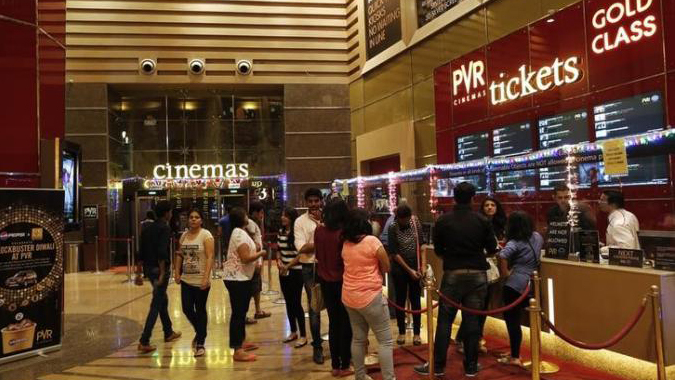 While 2016 had a shortage of good films, it showed that Indian audiences have developed an appetite for movies that don’t always tick the traditional check boxes. “Dangal”, the highest grossing Hindi movie of all time, featured Aamir Khan as a pot-bellied, at-times despotic father; “Pink” spoke openly about promiscuity and consent, and yet was a sleeper hit. Shah Rukh Khan’s “Raees” (Rich) and Hrithik Roshan’s “Kaabil” (Able) are two big-ticket films that will kick off 2017. Directed by Rahul Dholakia, “Raees” is the story of a bootlegger (played by Khan) and is said to be based on the true story of gangster Abdul Latif, although the makers have denied it. Khan will be hoping that his latest film makes a bigger impact at the box office than his last few releases. Akshay Kumar plays a struggling lawyer who stumbles upon a big case in the second edition of“Jolly LLB”, replacing Arshad Warsi in the main role. Taapsee Pannu plays the lead in “Naam Shabana”, a prequel to the 2014 “Baby”, and Ram Gopal Varma makes his umpteenth attempt at a comeback with political thriller “Sarkar 3”, which has Amitabh Bachchan in the lead. But the two sequels that will have everyone’s attention are Ali Abbas Zafar’s “Tiger Zinda Hai”, with Salman Khan and Katrina Kaif reprising their roles from 2014’s “Ek Tha Tiger”, and S S Rajamouli’s “Baahubali: The Conclusion”. The Telugu director’s epic fantasy “Baahubali: The Beginning” broke box office records in India when it released in 2015 and made Bollywood sit up and take notice. The sequel is expected to release in April. Biopics seem to be the new fad for most Bollywood studios, and 2017 will also see a host of real-life stories retold on celluloid. Shraddha Kapoor and her brother Siddhanth Kapoor will star in a biopic of Haseena Parkar, the sister of India’s most wanted man, mafia boss Dawood Ibrahim. Titled“Haseena: The Queen of Mumbai”, the film is directed by Apoorva Lakhia and expected to hit the big screen in the latter half of the year. But the underworld biopic to watch out for is Ashim Ahluwalia’s “Daddy”, based on the life of Mumbai underworld gangster Arun Gawli. Rajkumar Hirani directs Ranbir Kapoor in the much anticipated biopic of troubled actor Sanjay Dutt, and actor Rahul Bose will direct and act in “Poorna”, the real-life story of a tribal girl who scaled Mount Everest. There’s also a history lesson or two for audiences in theatres. Vishal Bhardwaj’s espionage thriller“Rangoon”, set towards the end of World War II, comes out in February. The story of 14th century Delhi ruler Alauddin Khilji and Hindu queen Padmavati comes to life on screen in Sanjay Leela Bhansali’s “Padmavati”. Bollywood hasn’t stopped producing its staple content though. David Dhawan’s “Judwaa 2”, a sequel (sort of) to a film he made 20 years ago, releases this year, as does Rohit Shetty’s “Golmaal Again”, the fourth edition in a series of what feels like the same film each time with different names. The big Eid release this year is Kabir Khan’s “Tubelight”, starring Salman Khan and Chinese actress Zhu Zhu. Imtiaz Ali’s film with Shah Rukh Khan and Anushka Sharma, tentatively titled “The Ring”, also comes out in the latter half of the year.